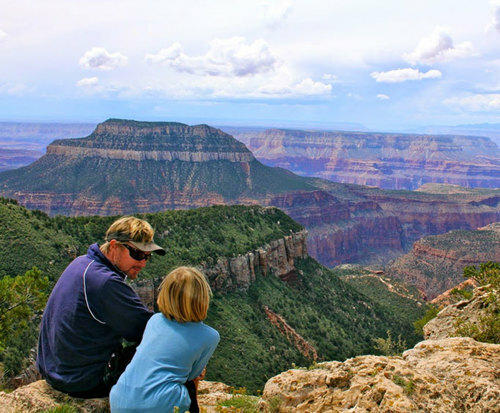 This 90-minute trek through the Kaibab National Forest and on to the rim of the Grand Canyon, one of the most beautiful natural landmarks in the world! This tour is guided by a professional and knowledgeable guide who will constantly inform you of fascinating history, geology, wildlife, and interesting folklore. 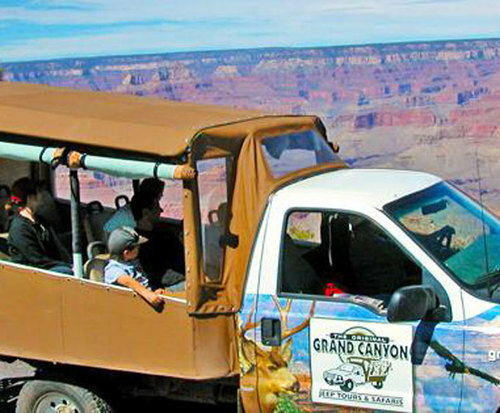 Your tour will continue through the Kaibab National Forest inside a 4x4 vehicle. As you travel along the 1890s stagecoach trail, you will be awed at all of the rare and incredible wildlife that you will see, including elk, deer, bobcats, turkeys, hawks, and more! Next, you will head toward the Grand Canyon Railway where you will have the opportunity to check out the site of an 1880s copper mine. 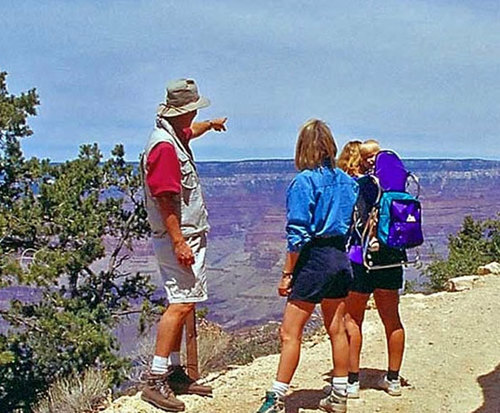 As the end of your tour approaches, you will have the chance to get out and take a walking tour of the historic Grand Canyon Village. The El Tovar Hotel, Lookout and Kolb Studios, Buckey O'Neil's Cabin, Hopi House, and Bright Angel Lodge are among some more of the stops your will make on your walking tour. Don't miss out on this amazing way to get out and explore the Kaibab National Forest and all it has to offer!